Lombardia, Veneto, Emilia Romagna,Trentino Alto Adige and Piemonte. Also seasoners located in Lombardia, Veneto and in the provinces of Piacenza, Trento e Cuneo belong to the consortium. 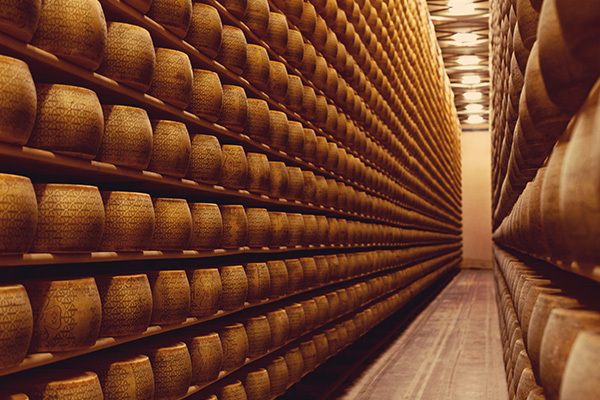 In addition, the Consortium also includes: authorised facilities for portioning Grana Padano PDO cheese and approved facilities for packaging grated Grana Padano PDO cheese. All of them have the important task of ensuring compliance with the traditional recipe of Grana Padano, necessary to achieve its standard high quality, as indicated in the Production Specifications.